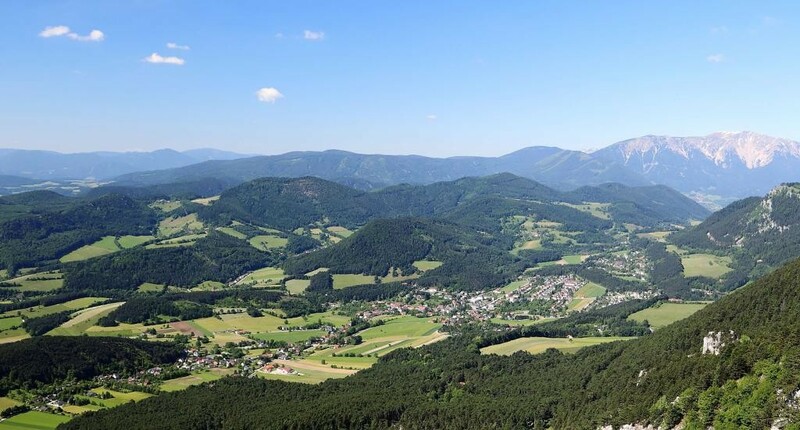 Exclusive estate with own hunting and fishing fields, in Lower Austria We are delighted to be able to offer you a particularly interesting and above all very versatile object, about 1 hourґs drive from Vienna - for sale. This is a truly unusual offer, amidst more than 140 hectares of land for nature lovers, for dropouts and self-catering, for the extended family, hunting enthusiasts, artists, as a second home or spacious holiday residence. Location: The property can be reached in about 1 hour from Vienna and about 80 km from Vienna Schwechat Airport. The traffic-related development to the property and within is optimal. The historic estate is extremely dignified, spacious and unified and blends in well with the landscape. The interior stately and more than generous. The overall condition of all buildings can be described as VERY GOOD. We are happy to present you this rare object, which is truly an absolute rarity due to its possibilities. At the request of the owner, details may only be passed on upon announcement of your full name, telephone number and address. Further information: The data provided are from the owner and / or third parties and have been collected with care. For the correctness and completeness however no liability can be taken over. Numbers may be rounded or estimated if necessary. The offer is non-binding. Errors and changes are reserved.